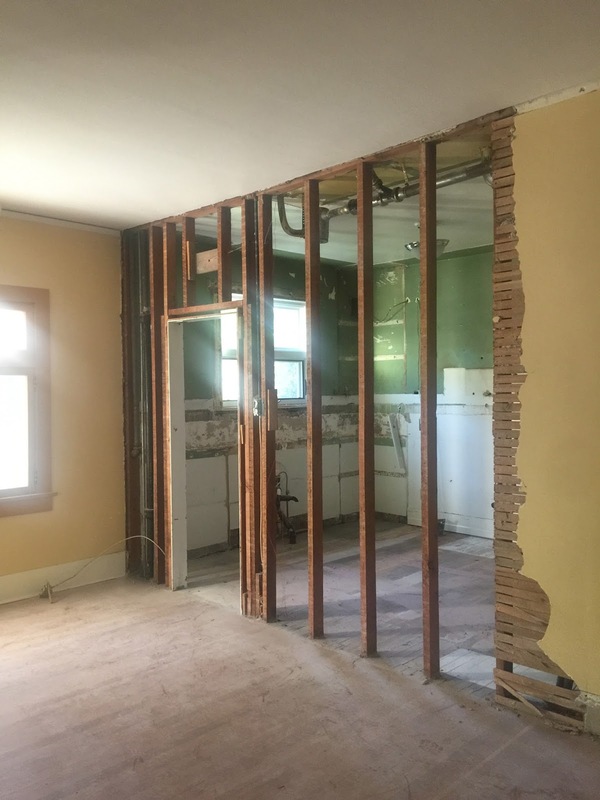 Walls are coming down at the Hazley home! 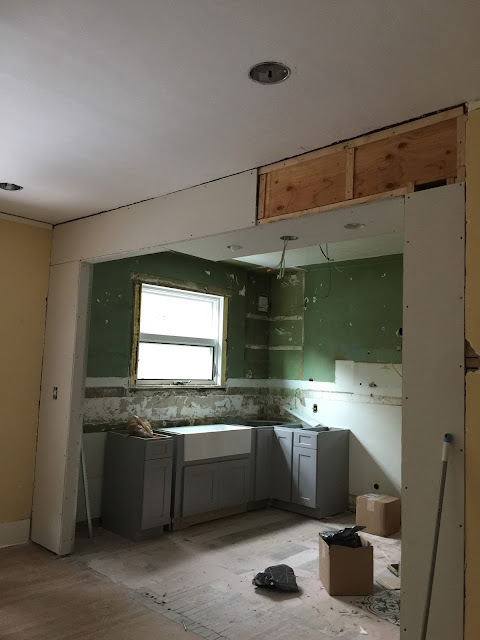 All of the demo is done and now the installing of cabinets is underway. Though we aren't as far along as we hoped, it all looks amazing and I can't wait to start decorating the space. 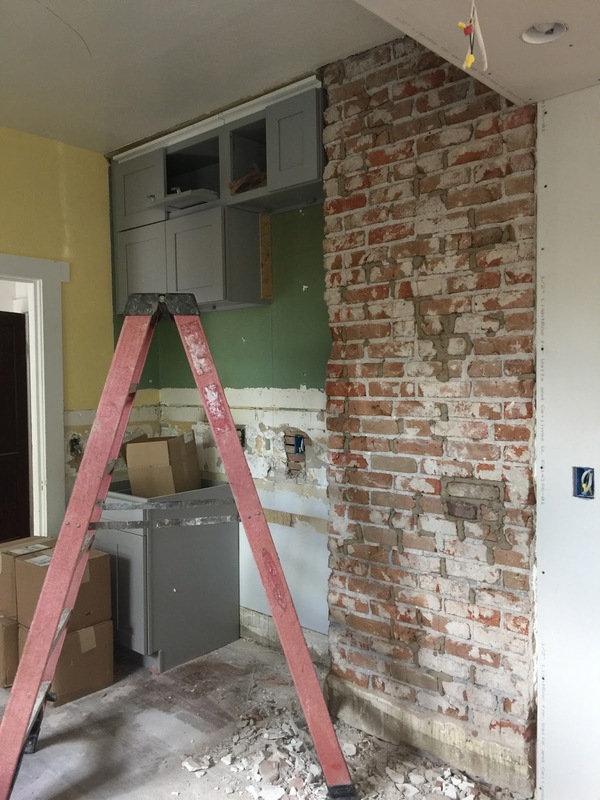 We got great news when we found out that the brick could be exposed in the kitchen. We were hoping to get some exposed brick in the basement as well but it didn't work out. 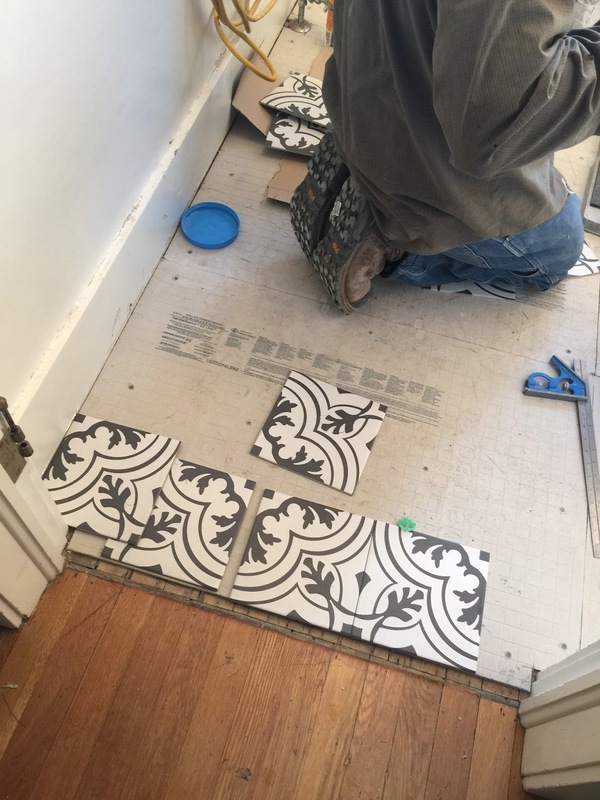 This kitchen is going to look amazing and this will no doubt be a huge feature. It's in the process of being sealed and I can't wait to see it finished. 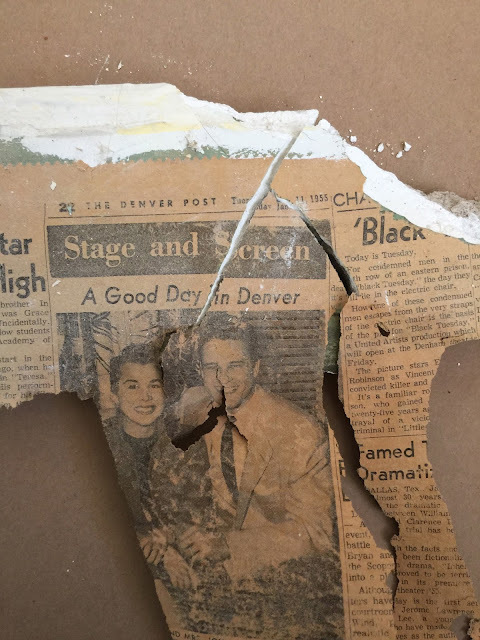 While it was being exposed we found a newspaper dating back to 1955. I would love to somehow frame this but because it was used to plaster the brick it won't be easy. 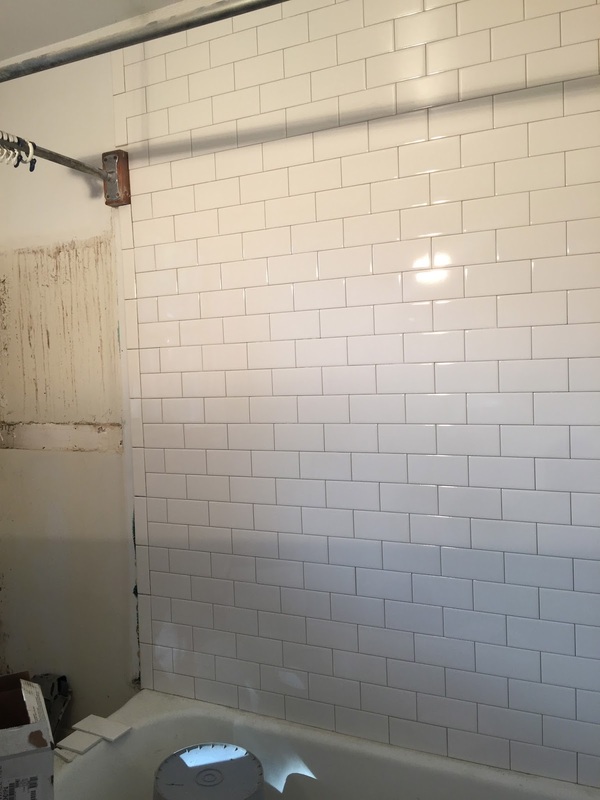 The bathroom shower tiles were laid along with the floor. If you follow me on instagram or snap chat, you have probably seen me painting like crazy!! I will soon post the inspiration for the girl's room and guest room. This week will be a big one as we finally get to move in!!! I can't wait to get see it all come together. I hope you guys have a great week!